The town of East Haven, located in New Haven County, is on the east side of New Haven Harbor in the Long Island Sound. First called East Farms, in 1638 settlers obtained the land as part of the purchase of New Haven. In 1785, after years of petitioning the General Assembly, East Haven incorporated, becoming a separate town from New Haven. 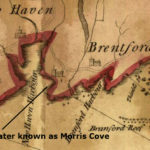 By the late nineteenth century, East Haven had greatly reduced its size by selling a significant portion of its land to New Haven. 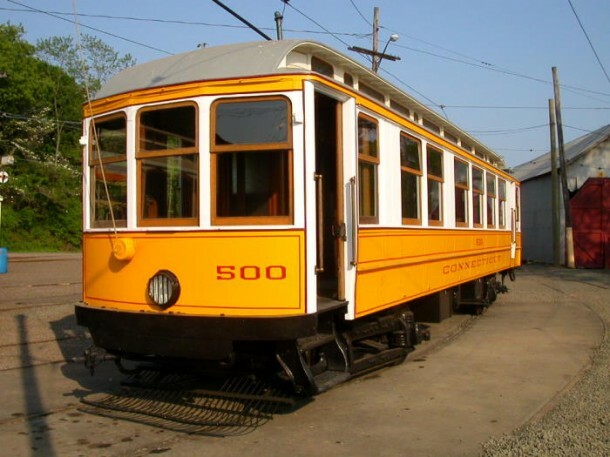 Today, the Shore Line Trolley Museum in East Haven operates the Branford Electric Railway. The railway is the oldest continuously operating suburban trolley line in the United States. “Farm River State Park.” Department of Energy & Environmental Protection, 2012. Link. Harte, Charles Rufus. “Connecticut’s Iron and Copper: Part 1.” 60th Annual Report of the Connecticut Society of Civil Engineers, 1944. Link. “East Haven - WPA Architectural Survey.” Connecticut State Library Digital Collections, 2013. Link. Dodd, Stephen, ed. East Haven Register, Containing an Account of the Names, Marriages, and Births of the Families Which Settled, or Which Have Resided in East Haven, from Its Settlement in 1644 to the Year 1800. New Haven, CT: A.H. Maltby & Company, 1910. Link. Hughes, Sarah E. History of East Haven. New Haven, CT: Tuttle Morehouse & Taylor Press, 1908. Link.